With the Beast from the East, Storm Emma, and breadmageddon all part of last weeks problems, we are thankfully out the other side of it and can get back to what we do best! 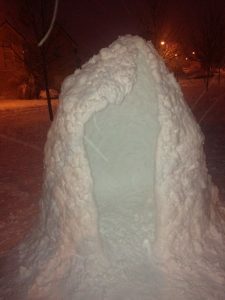 If, however, you really enjoyed the snow, you could use our igloo as your next office space!! But if you, like me, prefer the heat more than the cold, come and have a chat with us today about your office requirements. Providing office space for you, with flexible contracts, and excellent customer service is what we do best! Interested in viewing an office with us today? Get in contact and we can discuss your individual requirements. Phone us on 0214536199, or email us on info@acornbusinesscentre.ie.